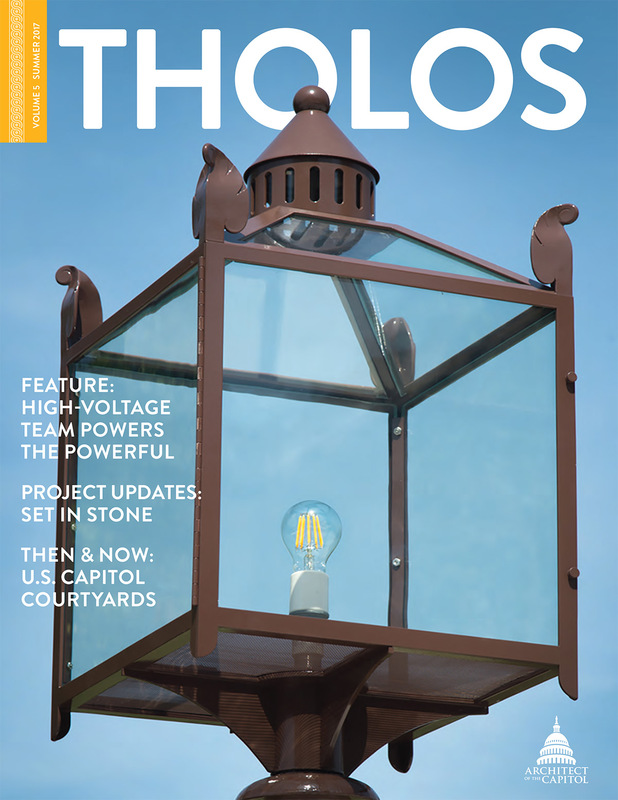 Sitting atop the U.S. Capitol Building's cast-iron dome is the tholos, a structure comprised of 12 columns encircling a lantern that is lit to signal when the House of Representatives, the Senate or both chambers are in session. 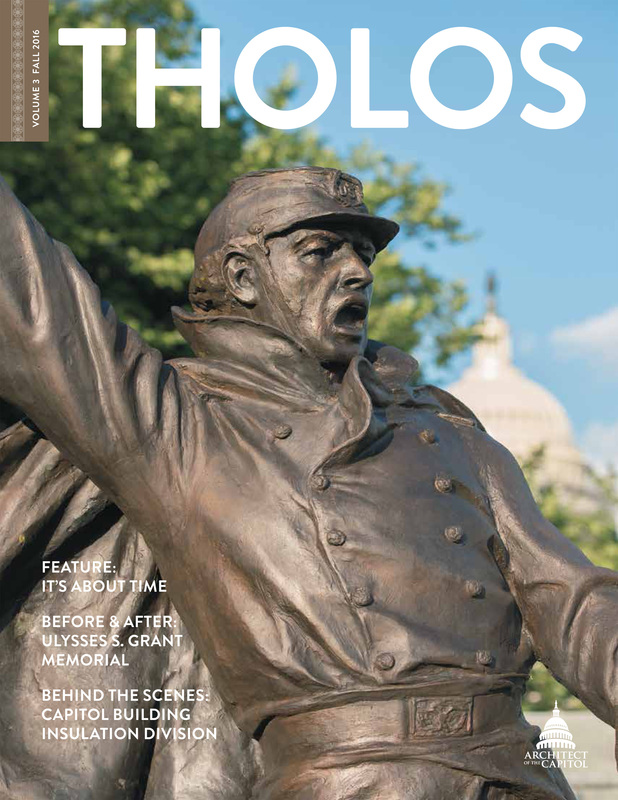 The tholos supports the base of the Statue of Freedom and provides amazing views of Washington, D.C. 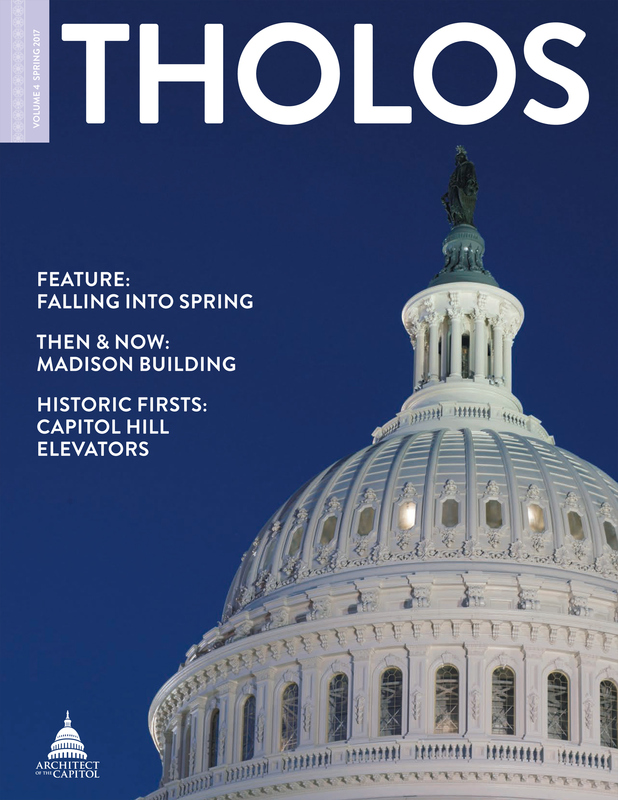 The entire Capitol campus is visible from the tholos. 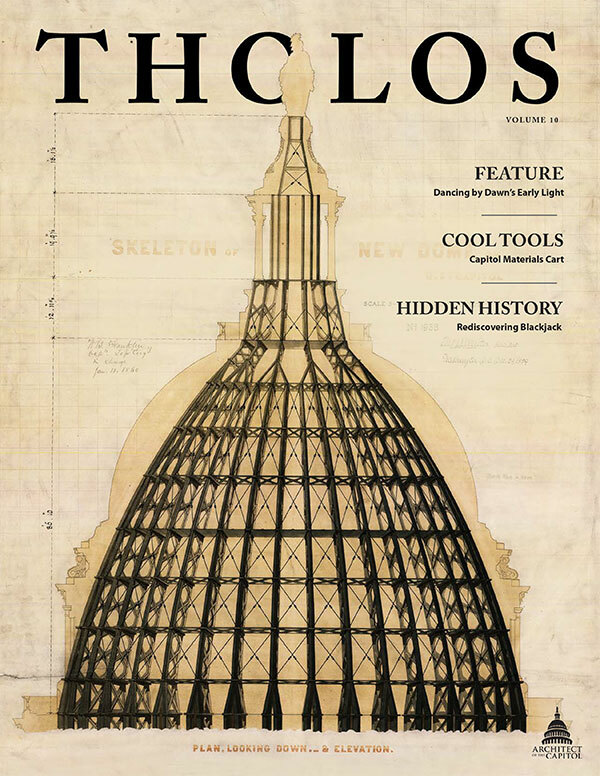 Similarly, Architect of the Capitol (AOC) employees are seen in and around every building and across the grounds — day and night — in support of Congress, the Supreme Court and the Library of Congress. 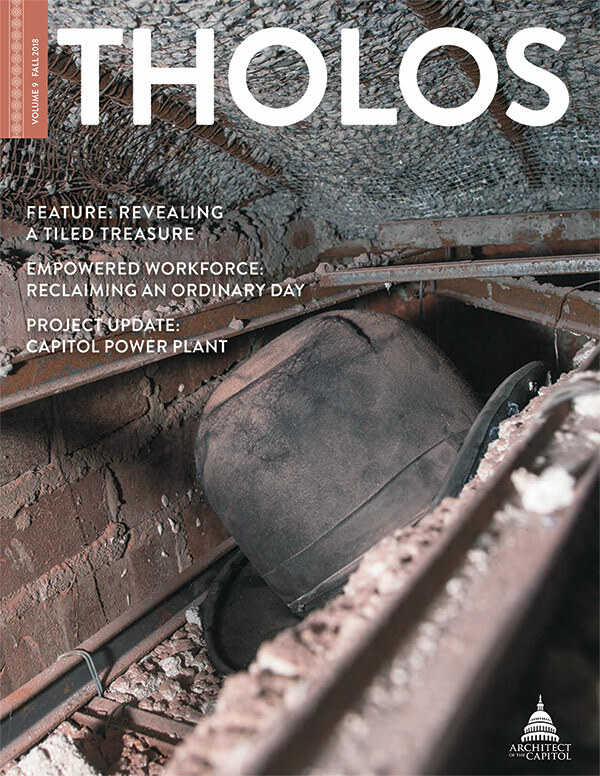 The AOC employee magazine, "Tholos," is fittingly named after this prominent and important architectural feature. 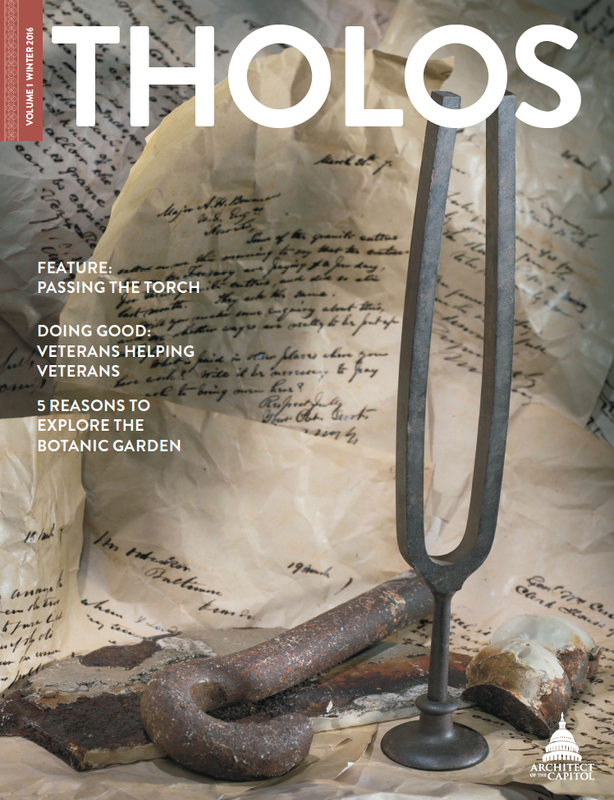 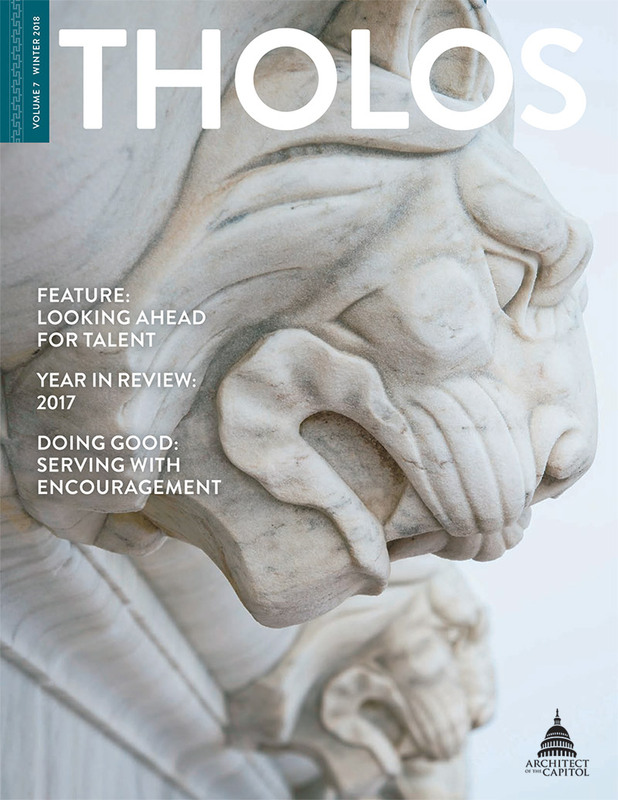 Download the full Winter 2019 issue of "Tholos" magazine, or read the stories on our blog. 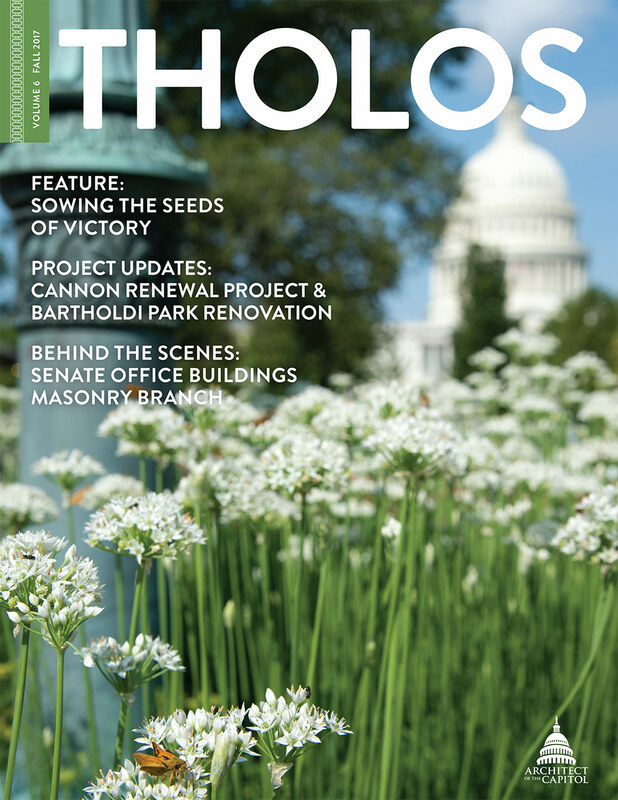 Q&A: Acting Architect of the Capitol Christine A. Merdon, P.E. 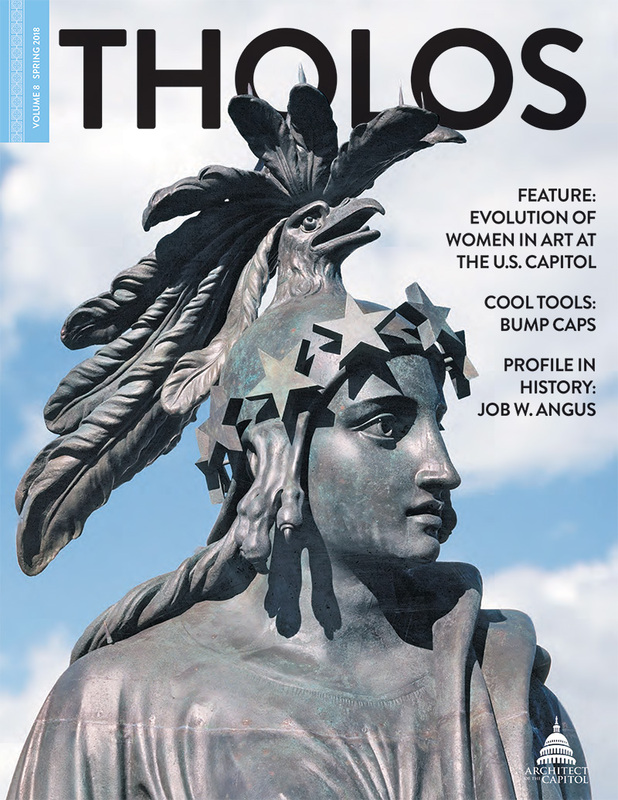 The AOC Communications and Congressional Relations office published the first edition of the employee magazine, "Foundations & Perspectives," in 2009. 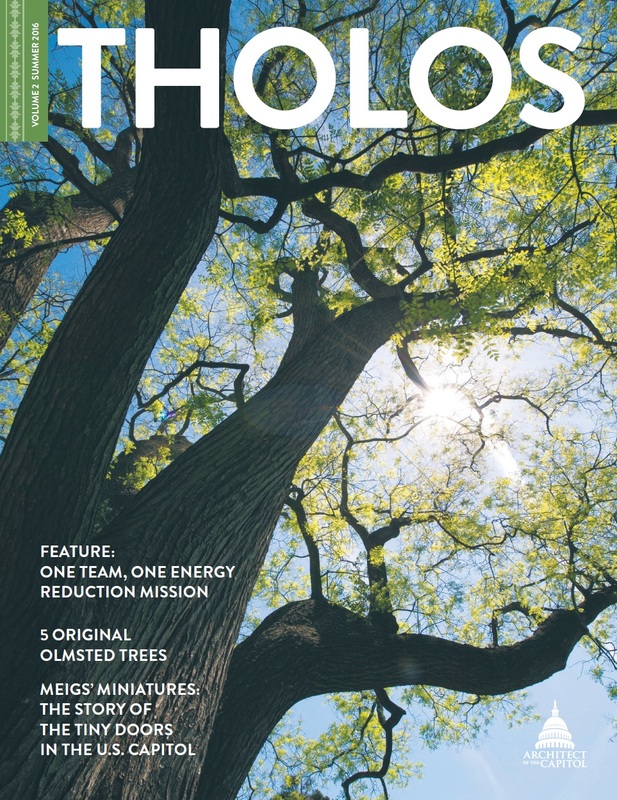 Since then we have strived to communicate stories that demonstrate our commitment to our mission – Serve, Preserve and Inspire.